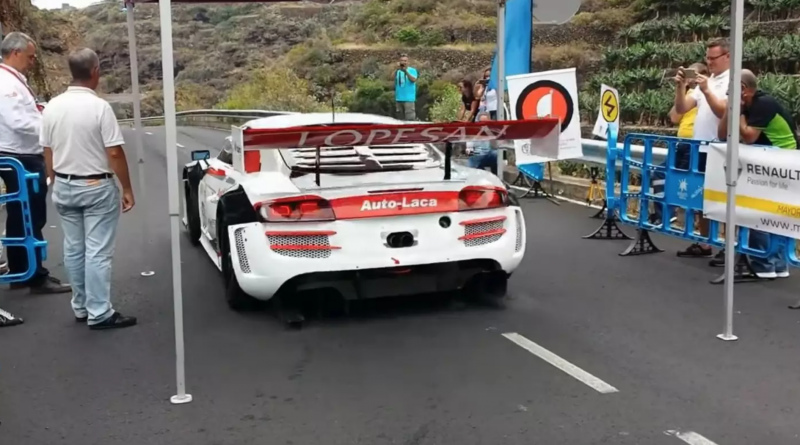 Several lucky car enthusiasts were able to witness a 600-horsepower Audi R8 LMS driven by rally driver Luis Monzon, take on Gran Canaria Regional Hillclimb, an event that takes place on one of Spain’s beautiful Canary Islands. The sound is incredible mainly because all of the street-legal mufflers are removed and this R8 LMS can be heard in it’s purest form. This awesome video was produced by the HillClimb Monsters channel on YouTube, they have a ridiculous selection of hillclimb footage that’s perfect for helping you kill some time. The footage is breathtaking, at one point the driver gets way to close to the rock walls on this extremely narrow course. Turn up the volume when you watch this Audi R8 LMS tear up the Spanish mountain.